Your home should be a place of sanctuary and comfort. We aim to protect you, your family and your belongings with a quality roof over your head. As a homeowner, it can seem like there are always things that need to be replaced or fixed. 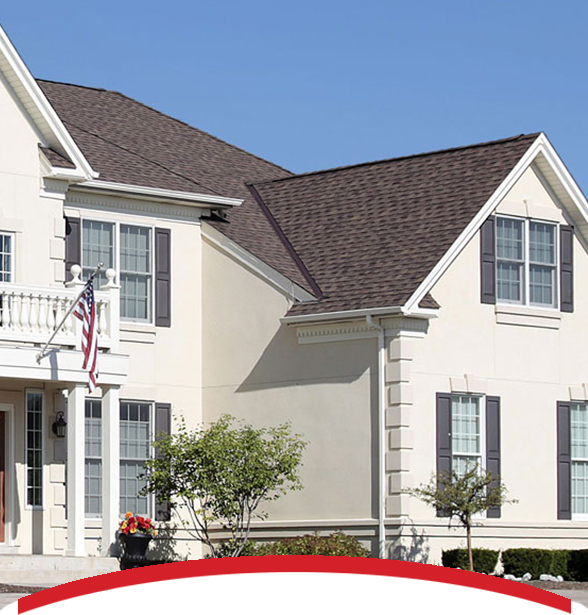 When the time comes to getting quality work done on your home’s roof, you need to find reputable Roofing Contractors in Colorado to make sure the job gets done right. Different maintenance comes with different industry jargon, and we understand it can be overwhelming and sometimes confusing to understand everything that is being done. We promise to be completely transparent and to keep you confident and knowledgeable throughout our time together. Our professional roofers will inspect your home and assess what types of replacements or repairs are needed. Your home is where you create lasting memories you hold on to forever – don’t let your roof get in the way of that. What Do I Do About My Roof? Why should I repair or replace my roof? If you ignore repairing or replacing your roof when there are signs that its integrity has been compromised, it will lead to damaging the entire structure of your home as it becomes more exposed to the elements, which will deteriorate the siding, interior and foundation. How do I know if my roof needs replacing? There are many other signs that your home's roof needs replacement. We can help find them and point them out (if any). You can get your roof inspected for FREE by Interstate Roofing. A roof has an average lifespan of about 20 years. It may vary depending on the roof material and roof type, as some materials have a longer lifespan and some roof types and materials don't last as long. We will gladly help you choose the best roof material and type for your home. Should I remove my old roof before installing a new roof? It's always best when replacing a roof to TEAR OFF the existing one rather than ROOF OVER the old one. Most of the time we recommend your old roof be completely removed, as we need to address the root of the problem before covering it up again. Unless the initial roof is a single, problem-free layer (which we check for), it's best to avoid having more problems in the future by removing the old roof. We will inspect your roof for FREE to see whether your old roof is worth keeping on or not. It's hard to give an exact answer without looking at your roof, as the time it will take depends on the type of roof. With most residential properties, we are able to replace a roof anywhere from one day to a week. The best way to know is to get a FREE estimate on your roof. Can I replace or repair the roof myself? We STRONGLY recommend you don't do this, as the labor and logistics are sometimes overwhelming for the untrained and inexperienced. It's also very unsafe to be up on your roof without proper equipment and training. We can give you estimates and options to choose from before replacing or repairing your roof. How do I know you're not a roofing scam? Great question. We supply plenty of certifications, credentials, references and awards to help you feel comfortable that Interstate Roofing is a Colorado local and that we're here to protect our community as best as we can. It's best that you as a homeowner do your research and homework to find out that Interstate Roofing has the best of intentions.